Blood donation can save the lives of many people. So, for the first time in ESN Lithuania‘s history, 11 sections together with ESN LT Alumni and one section candidate from 3 biggest cities in Lithuania – Vilnius, Kaunas and Šiauliai – united for National Blood Donation Day on 6th of March in order to spread the word about importance of being a blood donor. Three sections in Kaunas: ESN VMU, ESN KK and ESN KTU gathered at Kaunas University of Technology‘s IIIrd palace to collect blood from donors who volunteered to donate it. This event was organized with the help of Kaunas’ ESN sections old friend – Blood Centre of Kaunas Clinics. Helping hands of Blood Centre‘s professionals ensured that the act of donation would be safe and painless. Volunteers and professionals from Blood Centre of Kaunas Clinics were waiting for everyone who wanted to donate blood from 10a.m to 3p.m. In total, 24 people expressed their willingness to donate blood. Unfortunately, four of them were unable to help this time. However, 20 people became heroes in Kaunas, because their blood will save many lives. Among this, 8 of them were exchange students. Local students and ESN’ers also did not forget their social responsibilities. Blood Centre of Kaunas Clinics was very happy because one person‘s blood can save the lives of at least three people. Waiting is nerve-wracking most of the times. So whether students were waiting to donate blood or were recovering after it, they occupied themselves by playing board games or chit-chattering with anyone from staff to fellow volunteers. That is why everyone who had some doubts about blood donation forgot them immediately. National Blood Donation Day was a generous and noble event. It showed that there are a lot of heroes around us. 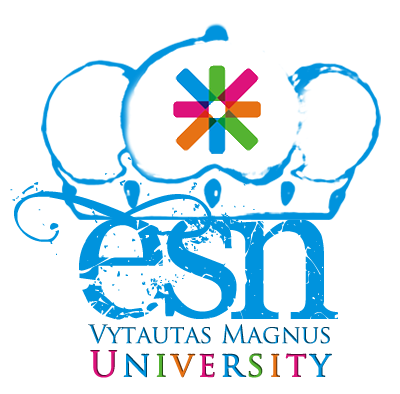 Sharing is caring, so ESN sections from Kaunas united with other Lithuania’s sections to show that they care and are always willing to help others without any benefit to themselves.